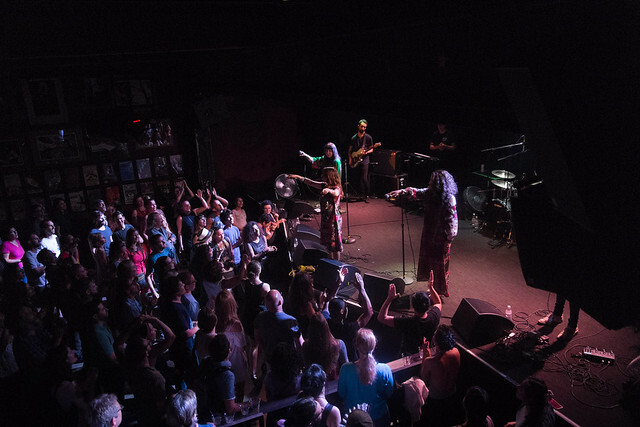 At an A-Wa show, audience participation is not optional. 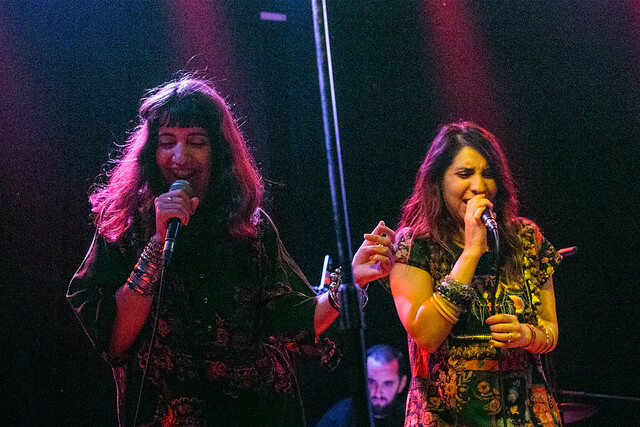 From the moment the trio of Israeli sisters took to the stage at their recent show at the Crocodile, it was clear they weren’t performing for an audience — they were throwing a jubilant party, one that goes long and becomes surprisingly intimate, and we were all invited. You can tell the group cut their teeth as a regular wedding act. There was hardly a moment when the crowd stopped moving. 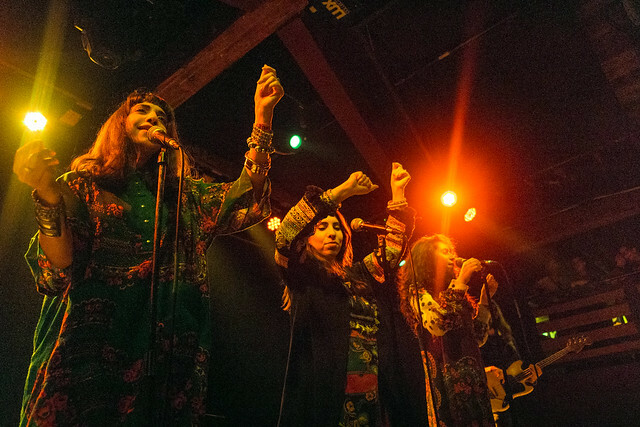 It jumped in as a backing chorus and percussion section, prompted or unprompted, and even sprouted clusters of Yemeni dancing. 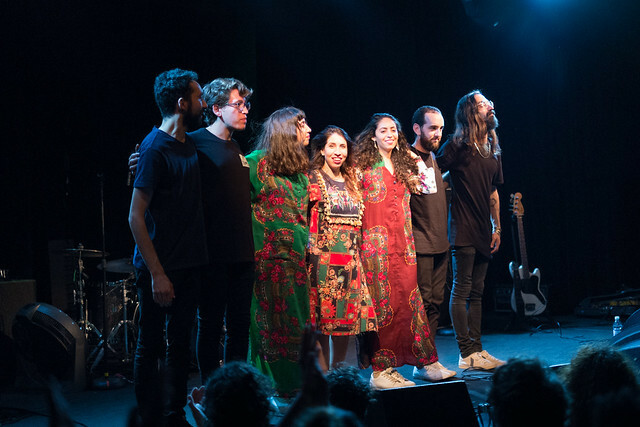 The sisters called back and forth with fans in Hebrew and English alike, even stopping the show to have a conversation with Noshin, a woman who was attending her second A-Wa show in two days. She let the sisters borrow her fan for some dramatic dance numbers. 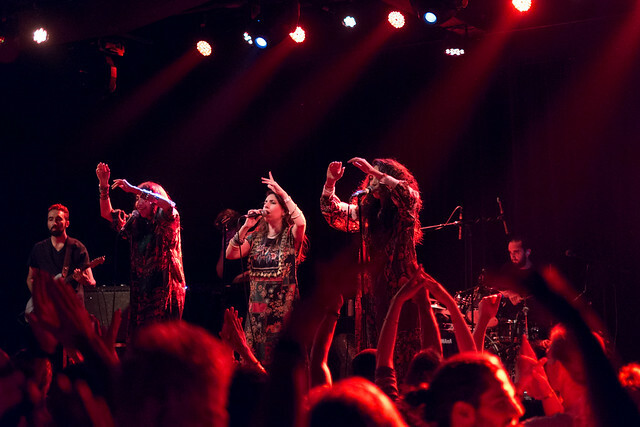 The sisters — Tair, Liron and Tagel Haim — were raised with their three siblings in Southern Israel, near the Egyptian border. 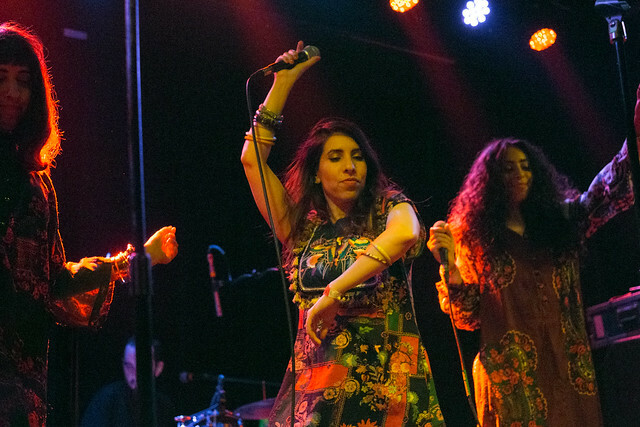 They combine the musical heritage passed down from their Yemeni grandparents with modern electronic dance music for a unique and enchanting sound. 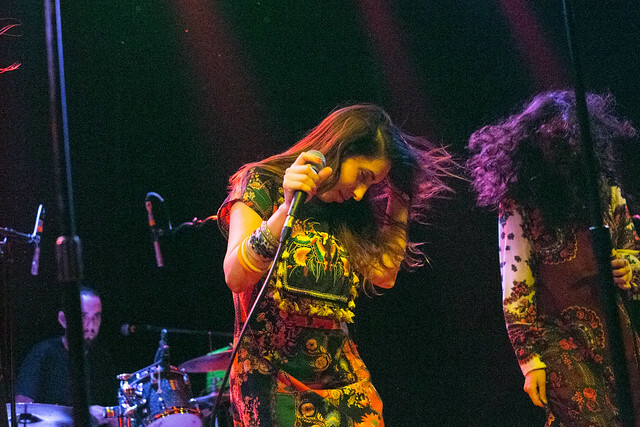 Most notable is their incredible vocal harmonies: tight, dynamic and rich. Their sound also has a range that makes it hard to pin down. 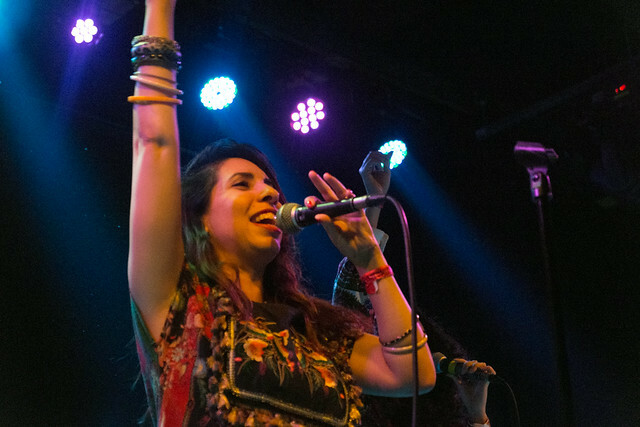 They move from crooning lullabies to rock-heavy numbers to their EDM-inspired hits with barely a beat in between. That variety extends to their lyrics: some feel more like pop music, but others show the true influence of Yemeni poetry. One of the latter is “Lau Ma Al Mahaba,” a soulful, crooning ballad about a woman who poisons her lover when he leaves her. “Not for me, and not for the people,” is a translation of the song’s refrain. It’s hard to describe A-Wa’s stage presence. Mesmerizing is one word that comes to mind, like snake charmers swaying before an unsuspecting beast. There is a subtle, understated confidence in how they move. But they’re also vibrant, barely containing grins as they dance with each other and sidle around the stage. More than anything, they have fun, and they hope you do too.